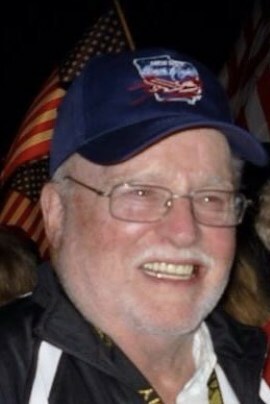 James (Jim) Maurice Lantz, 92, of Macomb passed away at 10:56 a.m. Sunday, February 3, 2019 at his home. He was born on December 4, 1926 at Brooklyn, Illinois to Richard Julian and Edna (Esslinger) Lantz. He married Ann Barry in 1954, who survives. He is also survived by two daughters, Debra (John) McCarver of Springfield, Illinois; Kris (Scott) Kaufman of Jacksonville, Illinois; three granddaughters, Hailey Kaufman (fiancé Kelton Ingram) of St. Louis, Missouri; C.G. (Jody) Lowery of Benton, Arkansas; Dana McCarver of Springfield, Illinois; two great-granddaughters, Charley Lowery and London Lowery of Benton, Arkansas; and many nieces and nephews. He was preceded in death by his parents; his sister, Sara Calberg; and his brother, Richard Lantz. Jim attended Western Illinois University and graduated from Bradley University in 1951 with a degree in Industrial Arts for the building trades. He was superintendant for Neil Hummel Construction; director of the Physical Plant at WIU; then returned to become a partner in Hummel Construction. In 1973 he worked for Chadco, Inc. and later became a partner in Chadco Construction Co., and then in Lantz Construction Co. He then worked for McClure Engineering Co., retiring in 1993. Since retirement he served as Resident Engineer for the City of Macomb and as Construction Coordinator/Inspector for many projects including Wesley Estates Duplexes. He also prepared plans for individuals and built and repaired furniture for members of his family. Jim served in the Army in 1945 & 1946 and was a tank driver in the Constabulary School Squadron during the occupation of Germany. He was a 70 year life member of the Macomb American Legion, having served as Post Commander and County Commander; a life member of the Veterans of Foreign Wars; and a life member of BPO Elks #1009. He was a life member and Past Master of Macomb Lodge #17 A.F & A.M.; a life member and past Commander in Chief of Quincy Consistory A.A.S.R; and a member of Mohammed Shrine in Peoria. He had conducted the Masonic Funeral Services well over 300 times, and had served on many Masonic committees. He received the 33rd degree at Cincinnati, Ohio in 1986. Jim was a member of Wesley United Methodist Church in Macomb since 1944 and had served as a trustee, usher and greeter. He was a member and chairman of the Macomb Public LibraryBuilding Commision and had served on the Macomb Building Board of Appeals. Funeral services will be held at 10:30 a.m. Thursday, February 7, 2019 at Wesley United Methodist Church in Macomb with Reverend Dr. Howard White officiating. Visitation will be held from 7 to 8:30 p.m. Wednesday, February 6, 2019 at Clugston-Tibbitts Funeral Home in Macomb. Masonic services will conducted at 6:30 Wednesday at the funeral home by the Macomb Masonic Lodge. Burial will be at Oakwood Cemetery in Macomb with military rites being conducted by the Macomb American Legion and Macomb VFW. Memorials may be made to Macomb Masonic Lodge #17, Macomb Hospice, or any charity of donor’s choice.